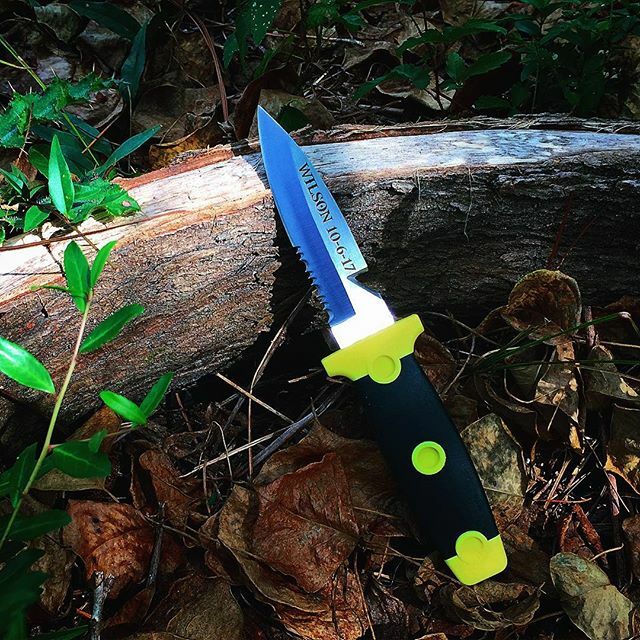 The Kershaw Sea Hunter is the perfect diving knife thanks to its corrosion resistant A20J2 stainless steel blade. 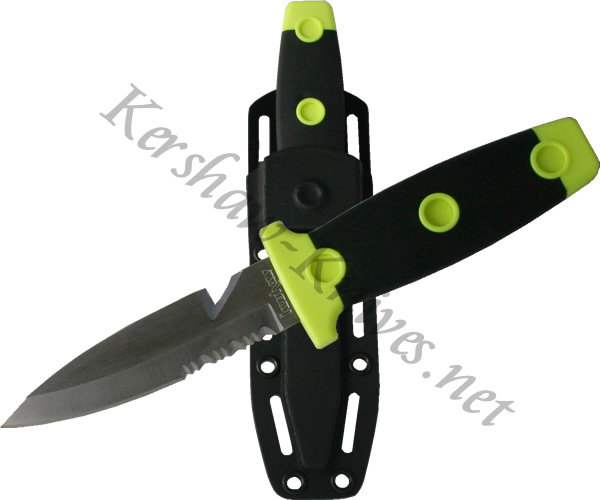 This Kershaw 1008 model comes with a hard molded sheath and two rubber straps for attaching it to your equipment. The blade has a sharpened notch on one side in order to cut cord or slice through fabric. The handle is soft molded plasted and colored in bright neon so you can find it in poor lighting.